Sharing Winans Chocolates and Coffees with friends and family is a wonderful way to spread some love! This assortment includes such Valentine favorites as our 1/2 lb. 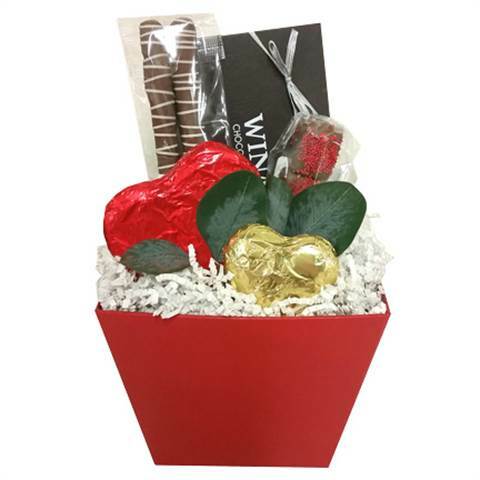 assorted chocolate box, 1oz. milk chocolate foiled heart, 2oz. 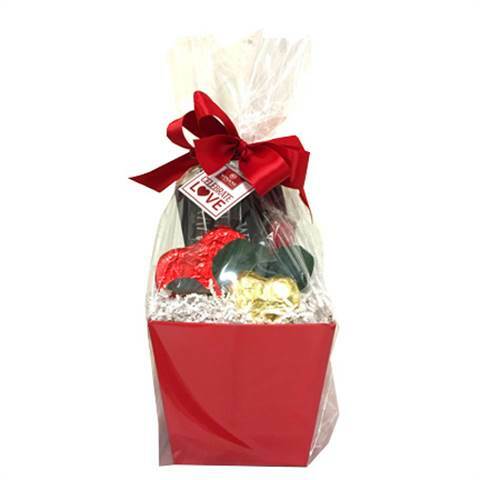 milk chocolate foiled heart,, 3 piece chocolate covered rice krispie treat and 2 pack chocolate covered pretzel rods. Arrives wrapped in cello with ribbon and card.